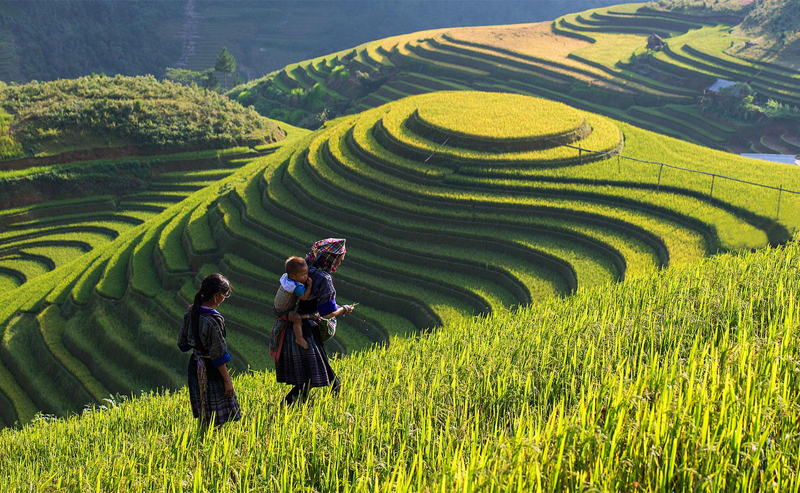 Explore Sapa via visiting Ta Phin Valley with terraced rice fields, local market, Ham Rong mountain, Hmong and Dzay peoples in Lao Chai & Ta Van villages, besides you still can spend your time for relaxing. Around 8:00 PM: We will be met at the lobby of the hotel in Hanoi and transfer to Hanoi Railways station for night train to Sapa. Overnight on train. Upon early arrival to Lao Cai Station, you will meet your guide and drive, taking a shower and enjoy breakfast in a restaurant near the station. 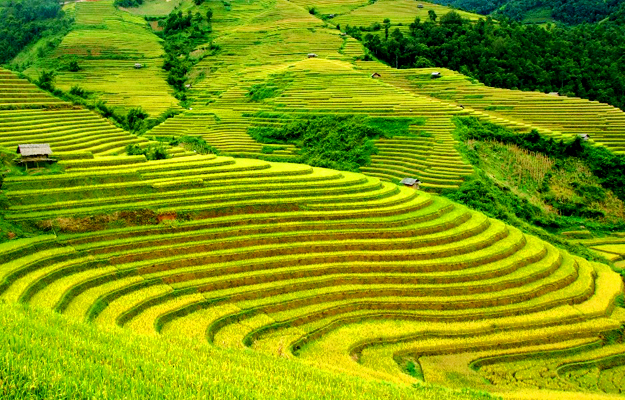 After over an hour driving uphill with several photo stops you will get to the center of a large and oval shape valley of Ta Phin, locating in a perfect surrounding nature of the high mountains, green pine tree plantations and impressive terraced rice fields built on hill slopes. 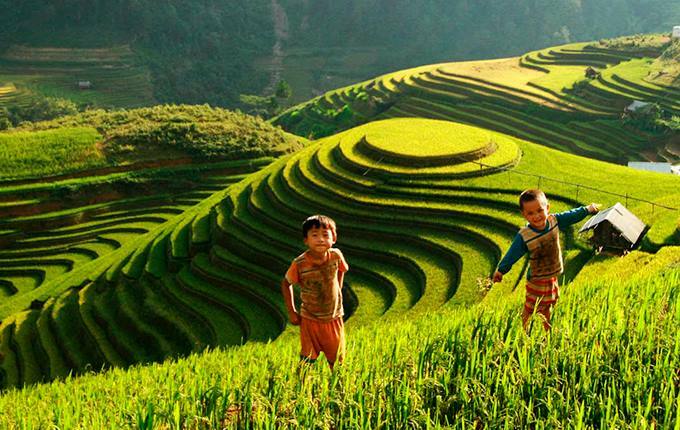 You will enjoy an easy walk around the valley for an hour through rice paddies and small hamlets scattering around, paying visit the local homes as well as meeting them busy with their daily work and activities. Arriving in Sapa Town after 20 minutes drive, check in the Hotel, relaxing and enjoying your lunch. In middle afternoon, your tour guide comes to meet you again for a leisure walk around this charming town. 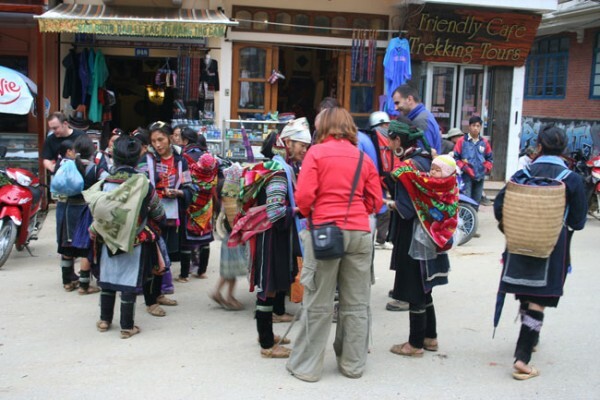 Visiting Sapa Market, you will see a lot of local farming products and spices for sale and meet many Black Hmong and Red Dzao people in the colorful traditional dresses who come from nearby villages every day to the market selling their gatherings and handicrafts. 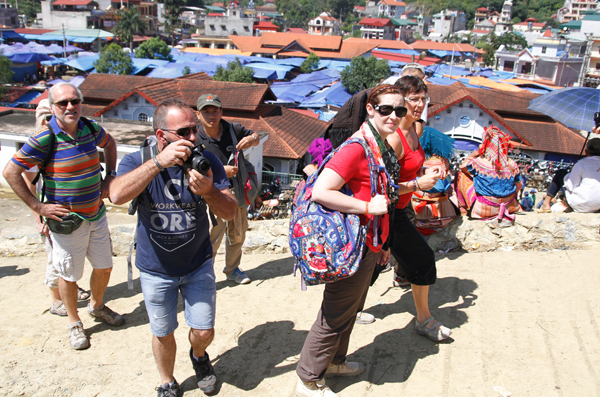 Continue walking uphill to Ham Rong Mountain to visit pretty orchid garden and then onto the for breathtaking scenery of the town. The rest hour of the afternoon is at your leisure. After breakfast at your hotel, you have time for relaxing at your hotel. Around 10:00 AM, you start enjoying tour. 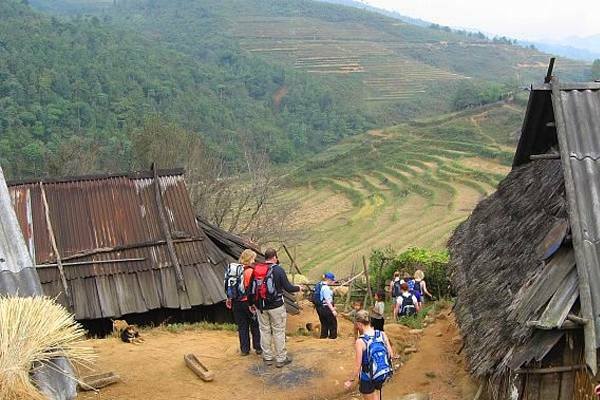 The road ride will take you southwards of Sapa along the only narrow road to Muong Hoa Valley. Spectacular scenery of the highest part of Hoang Lien Range including Fansipan Peak can be seen in the first 7 km of the road trip with many photo stops. Then the valley suddenly opens wide as you reach to Lao Chai. From high evevation fo the road you can see the whole valley, the Muong Hoa River winds its way through the valley bottom and small villages and hamlets of the Hmong and Dzay peoples scattering on the other side of the river, even very high on hill slopes. After lunch at a beautiful village lodge, you will walk down to the river, swimming if you like and then take the road ride few kilometers further for the scennery of the waterfall before driving back to Sapa in the afternoon. Take a shower and then transfer downhill to Lao Cai for taking the overnight train to Hanoi which arrives early next moring to end the trip. Deluxe train: 4 soft berths sharing on wooden & A/C cabin. Day 3: Arrive in Hanoi in the early morning. Tour finishes. 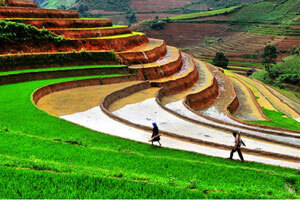 - Transport by private car or minibus as tour program in Hanoi and Sapa.